Delivering many unique features, NEC’s new PA672W is the world’s first projector to offer a 4K interface for multi-screen display capability. Outstanding picture quality is guaranteed with NEC’s 3rd generation Sweetvision®, high brightness levels and NEC’s unique scaler chip. The new PA672Wg offers rich connectivity with a wide range of inputs and unrivalled installation capability making it ideal for corporates, higher education, museums and signage applications in large rooms and auditoriums. Highest brightness - achieve up to 26000 lumen by combining up to 4 projectors using free automatic stacking software. 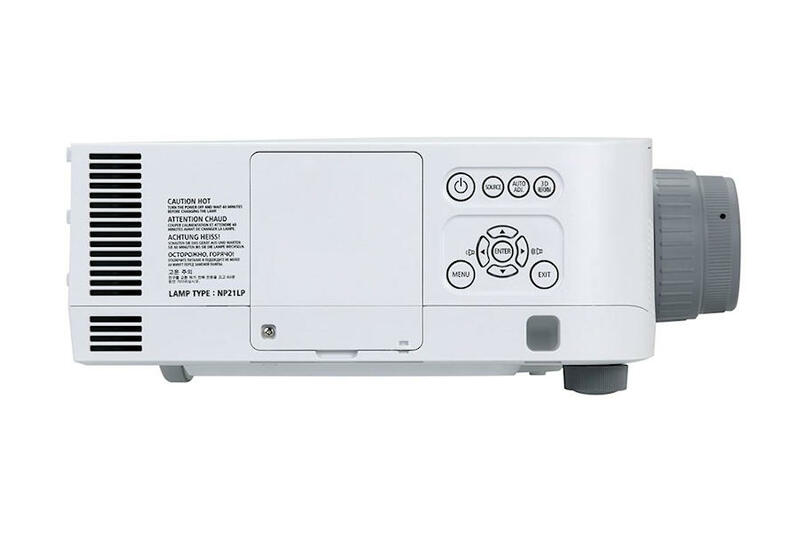 Easy installation - selection of wide zoom bayonet lenses, The NEC PA672wg projector is equipped with a lens shift that allows you to adjust the projected image horizontally or vertically. You can easily adjust the position of the projection just by turning the lens shift dials, without having to move the projector unit itself. Furthermore, the projector is also equipped with a centre lens design for easy alignment. Lamps can blow, if you need your projector working and can't afford down time, you may need to keep a spare lamp. The replacement projector lamp for the NEC PA672wg is the NP26LP.